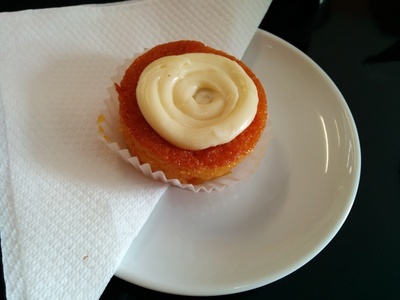 Art of Cakes is a little patisserie tucked away on the main drag in Bexley North. The patisserie, which has been there for many years is a favourite with locals in the area. While Art of Cakes is rather inconspicuous, and the décor lacking any real panache, the food here more than makes up for it. Following the old addage; 'quality over quantity,' Art of cakes serves up a selection of deliciously unique sweet and savoury baked goods. Fresh out of the oven - chicken pie, made with flaky pastry. Everything at Art of Cakes is made on the premises by the owner, Dimitri, who is also a trained pastry chef. Pop in on any given day and you'll see the staff here working away at a cake batter, or cooking up a creamy chicken pie filling. 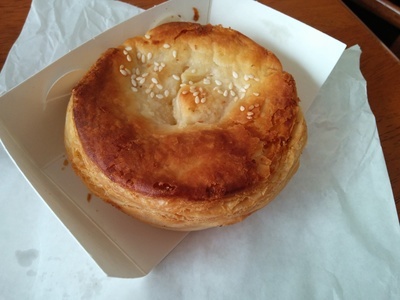 Speaking of pie, the pies here ($4.50) and sausage rolls are delicious, with rich, tasty fillings and golden, flaky pastry. If you’re lucky, a batch of pies will have just come out of the oven as you walk in. The lemon pie - my personal favourite. No frills, but tastes amazing. Art of Cakes also features a selection of tarts, all of which are small, delicate and deceptively simple. The lemon tart, with its amazing tangy filling and soft, crumbly pastry, would be my go-to - this is a lemon tart made for lemon lovers. In saying that though, the caramel and chocolate tart, featuring a classic flavour combination that is a total crowd pleaser, has a creamy texture and is always a safe bet for a delicious treat. 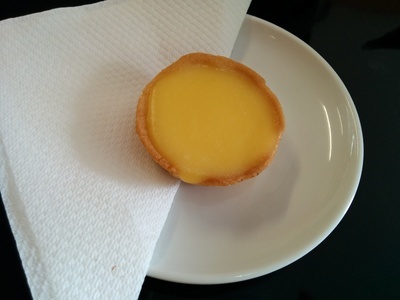 All the tarts come at the very reasonable price of $2.50, while you can grab a coffee for $3.50. 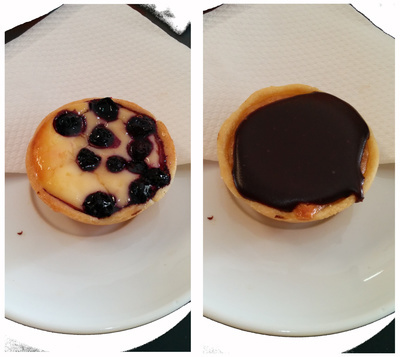 The slightly healthier blueberry tart and the very in vogue chocolate and salted caramel. Now I realise this place is called Art of Cakes, and I've spent the last five paragraphs talking about pies and tarts, so I'll make a special mention of the carrot cake here. Now I've eaten a lot of carrot cake in my time, and this is possibly the best carrot cake I have ever had. Moist and delicate, with perfectly balanced flavours. There is also little ricotta cheesecakes available which, like most other things here, are amazing too. If you want more, or you're after something special for a birthday, the shop has full size cakes (unfortunately they don’t cut slices off to sell - I asked) which look delicious. What drew me here is that everything at this patisserie is freshly-made and unique to this shop, a refreshing change from the typical selection of commercial baked goods that so many cafés around the city seem to stock. Art of Cakes is one of those 'hidden gems' and as such can be a bit hard to find, so look for the big sign which says “Patisserie,” and a blackboard sitting outside the shop. The quality of the food here is amazing and the service at this little independent run bakery is fantastic. I recommend this place anytime for a coffee or a quick bite to eat, but get in early to avoid disappointment. When: Tuesday - Friday 8am - 5pm. Saturday 8am - 6pm. Closed Sunday/Monday.